Nina Hale, Inc., a search engine marketing/social media agency and certified woman-owned business, finds another opportunity to help women in the business community. Nina Hale, Inc. recently sponsored the Aspirations in Computing Award Ceremony put on by the National Center for Women & Information Technology and will be providing a job shadow opportunity to an awardee. The Aspirations Awards will hopefully provide them not only with well-deserved recognition, but also with encouragement to continue learning in the computer science space. As a certified woman-owned business, Nina Hale, Inc., a search engine marketing and social media agency, is always looking for ways to support the female community. 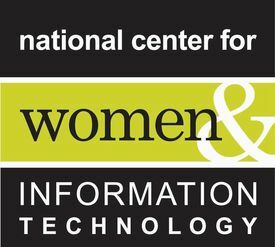 Recently, Nina Hale, Inc. partnered with the National Center for Women & Information Technology (NCWIT) to sponsor their Aspirations in Computing Award Ceremony, which recognizes young women in high school for their contributions to the computing and technology field. “I was impressed with the accomplishments of the young women I met. They all took great joy in talking about their projects at the event! The Aspirations Awards will hopefully provide them not only with well-deserved recognition, but also with encouragement to continue learning in the computer science space,” says Lizzy Wilkins, Nina Hale, Inc. Data Scientist. In addition to Nina Hale, Inc.’s award ceremony contribution, one of the students was presented with the opportunity to job shadow Data Scientist, Lizzy Wilkins. During the job shadow experience, the student will be exposed to a digital marketing agency from a measurement and analytics perspective. The student will look at digital marketing tactics including: paid search, search engine optimization, social media and content marketing, how to measure the effectiveness of digital marketing with various analytics tools, and how to define success for digital marketing campaigns and a methodology for measurement. Nina Hale, Inc. is a search engine optimization / search engine marketing and social media agency with an analytical, measured process for growing brand awareness and revenue through online channels. We create digital marketing strategies with execution of SEO, pay-per-click, social media, and content marketing. Nina Hale, Inc. was established in 2005 and is a nationally certified woman-owned business (WBE).